Prime Minister Theresa May has asked the Home Office to “urgently” look at the case of a Fife family who are facing a visa battle. 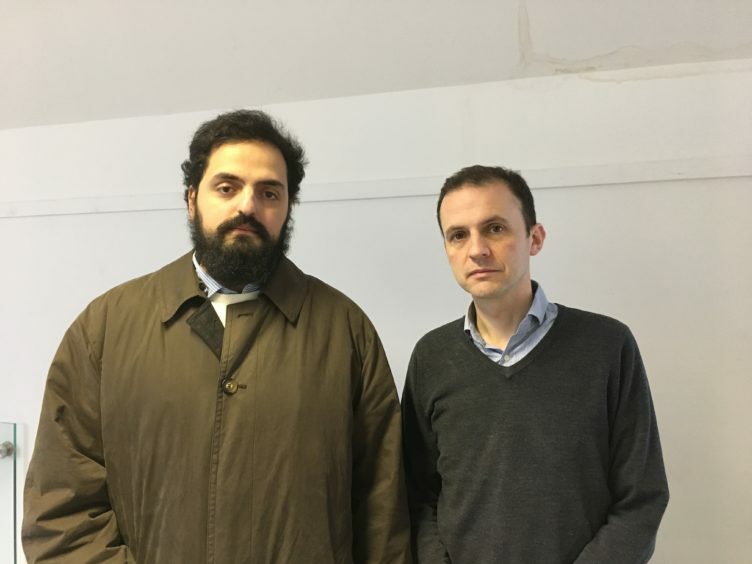 The intervention comes after North East Fife SNP MP Stephen Gethins raised the case of constituent Adam Alakil and his young family at Prime Minister’s Questions yesterday. Adam Alakil with MP Stephen Gethins. He told how the dad-of-two had a safe home set up in Cupar for his wife and children but has been separated from them for more than 18 months. 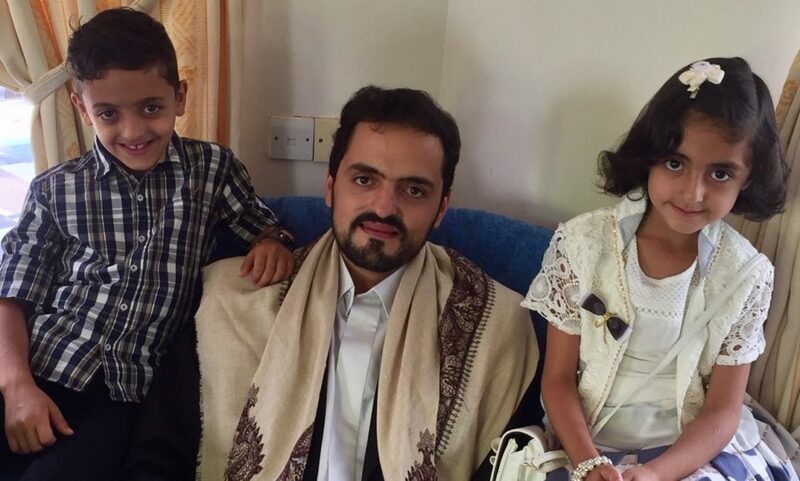 Mr Alakil, 29, and his two children, Hashem, nine, and Tasnim, seven, have British passports. However, his wife, Hadeel, 25, holds a Yemeni passport and has been told she must travel from her war-torn home in Yemen to Sudan to take an English language test before she can apply for a UK spousal visa. Mr Alakil, who travelled to meet his family in Khartoum on Sunday, previously told how this was their last chance to be together as a family. Speaking in the chamber at Westminster yesterday, Mr Gethins said the children had witnessed things no child should ever see. “They managed to get out (of Yemen) and the government has asked them to go to Khartoum in Sudan where they’ve been asked to wait until their mum can pass an English language test,” he said. “They have a safe home in Cupar, in my constituency, with their dad. I’ve briefed the Prime Minister about this. Adam Alakil, 29, with his son Hashem, 9, and daughter Tasnim, 7. Theresa May thanked Mr Gethins for bringing the case to her attention. “Obviously, as he will expect, when the Home Office receives applications they look at them carefully and look at exceptional circumstances,” she added. Mr Alakil, a Kettle Produce worker, said the family were facing a race against time due to financial limitations. He said they did not know how long it would take for the visa application to go through but they only had enough money to survive on for a month and half. He said: “They don’t have a priority service in Sudan so that’s one of the main concerns. We don’t know how long we will have to stay there. “The priority service takes up to 30 working days and the non-priority takes up to 60 working days – that’s almost three months. “I’ve only got six weeks off work and that’s what I’m really concerned about. We will literally be out on the streets if we stay in Sudan for over a month and half. “I have exactly £2,300 in my pocket. £1,600 is going towards the visa fee, £400 is for one month’s rent and the rest is for food money. That’s all that I have in the world.